The Expendables 3 and Mile 22 star Ronda Rousey wants in on a potential Kill Bill: Vol. 3 as an adult B.B. Kiddo, daughter of assassin Beatrix Kiddo (Uma Therman). “I don’t think this will ever happen, but I’m putting it out in the universe. I want to be grown-up BB in Kill Bill 3 and work with Quentin Tarantino,” the athlete and actor told TMZ. The WWE Superstar may have a good point. There are many of her fans that would like to see this come to life. Who wouldn’t want to see Ronda Rousey continue the Kill Bill Franchise? Uma Thurman did a good job kicking around everyone, Ronda would do the same good job. In 2015, then promoting The Hateful Eight, Tarantino told What The Flick there “definitely is a possibility” for another Kill Bill and he wanted to give Beatrix a peaceful life with her daughter. “I’d stop short of saying a probability, but there could be… Me and Uma would have a really good time working together, and I put the character through a lot. So I wanted her to have this much time for peace,” Tarantino said. Fueled by an insatiable desire for revenge, she vows to get even with every person who contributed to the loss of her unborn child, her entire wedding party, and four years of her life. After devising a hit list, The Bride sets off on her quest, enduring unspeakable injury and unscrupulous enemies. Would you want Ronda Rousey to carry on the tradition? Let me know on Twitter and Instagram @BlueJayHJB. 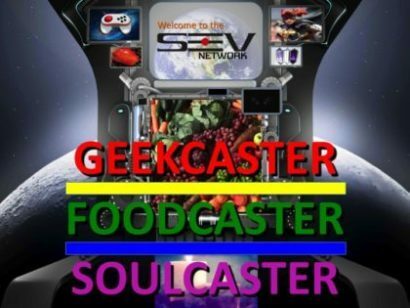 Follow GEEKCASTER on Facebook.